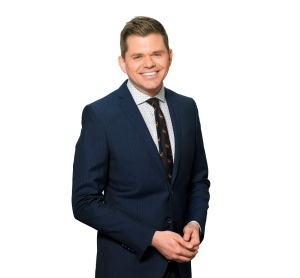 Shooting, reporting and anchoring gave Jordan the opportunity to follow Steve Nash to Phoenix during his NBA MVP seasons, cover the 2010 Winter Olympics in Vancouver, as well as follow island teams across BC and Canada in their pursuit of excellence. Jordan has called Vancouver Island home since 1989, but still hasn’t been cured of his Edmonton Oiler fandom. He’s equally nutty about the New York Yankees. Jordan can be found running or cycling all over Victoria’s trails and roadways, and still gets down to the same music he listened to in high school. He’s also a major nerd when it comes to fantasy football and baseball. He once signed a tryout contract with the NBA’s Denver Nuggets and his favourite city to visit is New York.